When Apple talked up the upcoming firmware upgrade for their iPhone and iPod Touch they touched on the fact that it will now allow you to block movies and TV shows based on content. But what about games? Currently the only way you can lock out the ability to download specific games on the portables is to lock out the ability to download any of them. 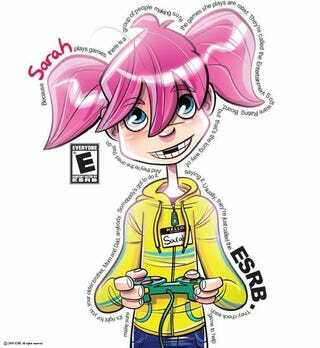 That doesn't seem right to the Entertainment Software Rating Board which rates all video games sold in stores in the U.S.
"ESRB ratings empower parents to do their job," said ESRB president Patricia Vance. "Considering the fact that the vast majority of parents are already aware of and regularly using ESRB ratings, Apple's adoption of them for iPhone games seems like a no-brainer. Apple just announced that the parental controls for the new version of the iPhone will block movie and TV content based on their respective ratings. Adding ESRB ratings to the controls they already plan to offer would give parents the ability to exert control over the games their children play as well." Apple has not yet responded to requests for comment on Vance's statement or ESA president Michael Gallagher's comments on the same issue.